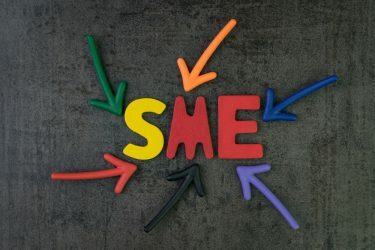 The Government has launched a consultation on changes to research and development (R&D) tax credits which are intended to prevent businesses from abusing the scheme for small or medium-sized enterprises (SME). The plans which were first announced during last year’s budget include introducing a cap on the amount of payable tax credit that a qualifying loss-making business can receive through the relief in any accounting period. The limit is going to be implemented from April 2020 and will be three times the company’s total PAYE and NICs liability for that year. All of the PAYE and NICs liability which is payable during that specific accounting period will count towards the cap, not just the part which relates to staff involved in the R&D activity. A Government consultation is seeking views on how the cap will be applied, in a bid to limit the impact on genuine businesses, before it is added to legislation in the Finance Bill 2019-20. HM Revenue & Customs (HMRC) say it understands that some companies may have low PAYE and NICs liability in relation to R&D spend and could be affected by the measure, which is why the consultation is looking for ways around this. Applying a cap on the amount of payable tax credit a company could claim will add some administrative burden for businesses. This is why the Government is considering applying the cap only to payable tax credit claims above a certain ‘threshold’ so that the smallest claims would be unaffected. However, to prevent abuse from groups making small but numerous claims at or below the defined threshold, the government intends to allow only one ‘below threshold’ payable tax credit claim per year for any given group of companies under common control. They are also looking at the possibility of allowing these companies affected by the cap to access the rest of their payable tax credit when they have built up enough PAYE and NICs liabilities in a future year. In places where losses cannot be surrendered for a payable tax credit because of the cap, those losses, to the extent that they are carried forward, would still be potentially surrenderable. They can be used as normal in later accounting periods, but companies also have the option to surrender them in exchange for payable tax credit over a limited period of time – if there is sufficient PAYE and NICs liability after any claim which relates to the current year. The consultation closes on 24 May.